A recent study shows that children with less interaction with people have a high chance of becoming introvert? 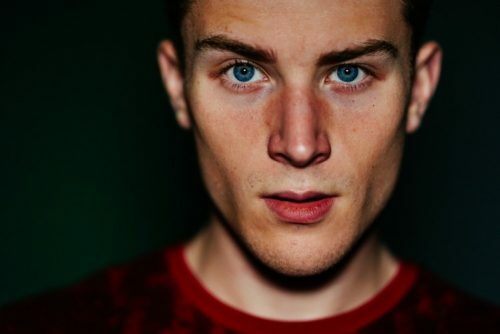 The same study reveals that young individuals who are not able to connect with other persons are at risk for suffering from a major depressive disorder. This fact can be problematic on your part especially if you have already decided to choose home-schooling for your beloved child. Do not forget to inquire how your child’s day went after he has completed all the assigned lessons. Feel free to ask questions that will make him open up so that you can maintain effective communication at all times. Let him know that he can always talk to you at any time of the day. Never make the mistake of shutting him down whenever he starts to open up as it can make him feel rejected. If this continues to happen, he may become depressed. Keep your questions simple and avoid asking those that are intimidating or difficult to understand. Many arrangements can be possible when it comes to homeschooling. In case you have decided to become the teacher to your child, the first thing that you must learn is to set limits during the class. Treat your kid as a student, which means that you have to be objective so that he can get the lessons. As a teacher, you also need to increase your patience and understanding. Do not easily get mad if he has a hard time learning. Just like a regular academic teacher, be fair in dealing with him. Another important thing that you need to do is to look at the way he acts so that you will know if something is wrong. It does not mean that you have to be paranoid. Otherwise, it can only make the situation worse. What is essential at this point is for you to start noticing whenever there are some changes in his behavioral patterns. Try to discover the factors that can affect his behavior and personality. In so doing, it will be easier on your part to know whether or not he already has depression. Nonetheless, remember that you can never make the diagnosis yourself. Look for a professional who can do it. Homeschooling can promote a sedentary lifestyle for your kid. Unfortunately, it is not good for him, and it is the primary reason why you must encourage him to become physically active. Teach him the various home exercises that he can do before or after his studies. Inspire him to get fit while he is still young. Take note that the body releases happy hormones during and after an exercise. As such, he has a good chance of fighting depression if he will continue engaging in physical activities. You can also exercise with him to keep him motivated. 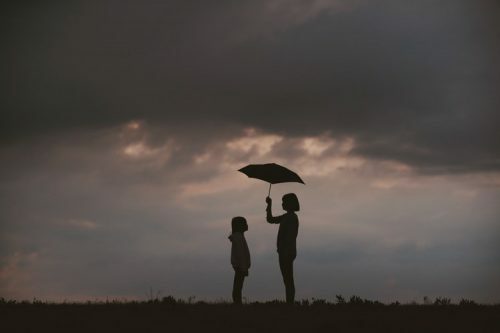 If you believe that your child’s condition is starting to get worse, the next step that you must do is to get in touch with a mental health expert. Call a therapist who can assist the case of your child. Let this professional handle the different ways on how to attend to the needs of your depressed kid. Keep in mind that it is essential to listen to the advice of the therapist. Make sure to take notes during the sessions so that you will know the progress that your child is making every day. Do not be afraid to ask questions from the therapist during the meetings with you and the child. According to another new research, diet can also affect the mental condition or psychological behavior of a particular person. For this reason, you must see to it that your kid does not miss any meal for a given day. Remember that his food intake can dictate the way he acts and talks. If he lacks the proper nutrients, then he has a high tendency of acting cranky. If this continues to take place, he may start losing interest in his studies as well as in connecting with some of his friends. The goal is to ensure that your kid can eat three meals a day. Homeschooling is not a bad thing, but because of a different setup, you must learn how to do it the right way. Looking back, the panelists at the 2014 Los Angeles Depression Workshop did not mince with words when they said that the disorder is incurable. It is true – no matter how much you spend on anti-depressants, they cannot save you from depression. Instead of feeling down about it, though, you should know that many individuals got to overcome the illness without drugs. Below are a few practical tips on how to beat depression on your own. The first thing you need to do is to deal with whatever makes you feel hopeless. There is genuinely no other way around it. Even if you consult the best psychologist or psychiatrist, they will likely tell you that your healing will be based on your openness to accept your new reality. Otherwise, you may not be able to move forward. Say, you developed depression because the man or woman you devoted many years to left you for someone else abruptly. Ideas about not being good enough for that person or being unlovable may then try to enter your brain. Considering you want to overcome your condition, though, you should contradict every negative thought that comes to mind. You are fantastic; you deserve love as much as anyone. It’s time you remind yourself of that. The problem with some depressed folks is that they choose not to call for help even during their gloomiest moments. The reason is not always the same, but the most common one is that they fear of getting turned down by their loved ones who don’t understand their issues. Nevertheless, you ought to remember that the people who genuinely care for you won’t throw questions before lending a hand. They will do it the other way and wait until you are ready to speak up. Do yourself a favor, will you? Keep these things in mind whenever you feel depression creeping back in your life. Good luck! Nowadays, many parents have decided to choose to homeschool for their kids. This set-up is ideal for parents who keep on traveling because of work or for those who are too busy with their businesses to the point that they cannot commit to enrolling their kids to a regular school. Fortunately, this kind of set-up has been validly recognized by the State as a valid means of acquiring an education. Therefore, homeschooled kids can still get their diplomas and gain knowledge for all subjects included in the curriculum. If you are one of the parents who has decided to choose to homeschool for your child, then you are probably aware of the challenges that come with it. The reality is that homeschooling can bring a lot of issues in a marriage or family life. You may end up having arguments with your husband about it or even get criticism from the people surrounding you. 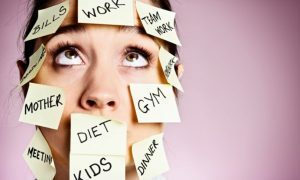 We understand how these issues can be stressful for a busy person like you. As such, we are going to share some tips and tricks on how you can handle them the right way. Before you enroll your kid for homeschooling, it is imperative on your part to make him understand about this choice. Let your beloved kid know why you want him to stay at home for his studies. Remember that such a set-up can be complicated for him, as he would not get a chance to do the regular things that other kids of his age do in a traditional school. At the same time, you must never forget to talk to him regularly even if he has already been into homeschooling for years. 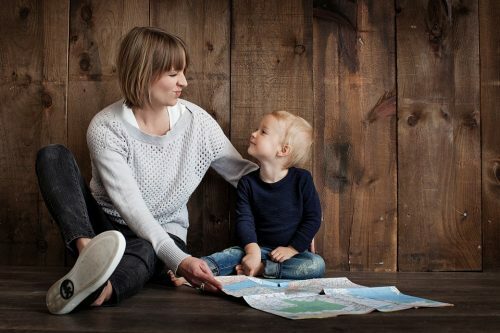 If there are some problems in the relationship brought about by differences in views about homeschooling, the best thing to do is to talk to your partner about it. As much as possible, be honest in starting a conversation with him to avoid some bruised feelings. Aside from this, it is also best to act nice when your husband is opening up to you about the problems that you have. 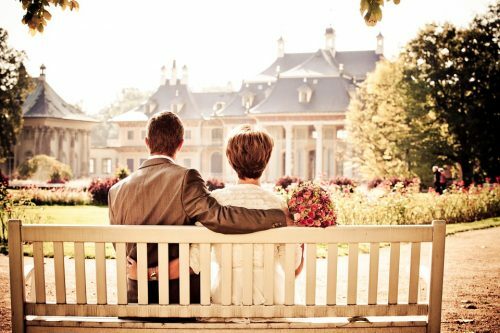 Remember that the only way to solve the marital conflict is to discuss it at the right time. Another thing that you can do is to seek the advice of parents who are also in a similar situation as you are. Let them know about your questions so that you can get the correct answers. Make sure to avoid making assumptions because it can only complicate things for you and your homeschooled kid. If possible, have an open mind in receiving comments or suggestions from other people. Do not take it against them if they point out some things that you have been doing wrong. Instead, be grateful for their concern because they only want the best for you. Homeschooling can be fun and exciting as long as you know how to handle it. Always think twice before you take a step when it comes to your child’s education. What you do today can affect his future. Schooled At Home: Does It Cripple Socialization? Probably the biggest issue that parents are worried about once they decide to homeschool their children is that it might severely affect their socialization skills. With the vast advantages of homeschooling (a notable one is the increasing number of kids who were homeschooled landing an Ivy League university education), it’s no wonder that a lot of parents are now well convinced that it is a viable option for their children’s future. But what about the lack of socialization? There seem to be debates left and right about the damaging effects of homeschooling to children’s social skills. Are home-based learning systems really robbing children of the chance to mingle and interact? Academically speaking, homeschooled kids are far more superior than those children who are sent to traditional schools. However, it cannot be disqualified from parents the concern about their kids’ exposure to other kids and having constant communication with members of an academic institution. Parents have this notion that the moment they subject their children to homeschooling, they are turning them into isolated, lonesome individuals, stuck inside the home without people to socialize with. But it’s not what it seems. And on the contrary, it’s the other way around. So what it is then? Home-based learning systems engage children in numerous opportunities to interact efficiently and productively with other people without having the negative experiences that come along with it in typical school settings. The abundance of gangs, bullying, emotional and physical torture, and violence have been reported to be growing and are directly affecting children’s well-being and educational stature. Is this the kind of socialization parents think of that they are depriving their kids of? When the world outside threatens the very essence of your children’s existence, aren’t you more worried about that than stripping your kids of superficial socialization? Homeschooled children have more or equal opportunities in participating in fruitful socialization. 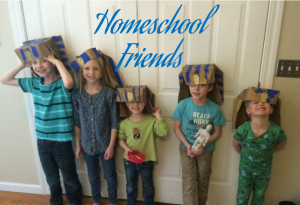 Unlike what the majority thinks of kids being trapped inside the four lonely walls of the house, homeschoolers have the convenience and the choice to be selective of their friends and groups to hang out with. Parents can stay in touch with other homeschoolers who their children can communicate and play with, do meetups, enjoy field trips and outings, gather in museums, zoos, planetariums, playing sports, rehearsing theater pieces, painting, participating in community activities, volunteering, and the list goes on. Homeschoolers get to do the same activities that kids at regular schools get to do, thereby enhancing social interaction within the safety and comfort of their own home. With the increasing population of homeschoolers across the country, the rise of support groups for kids schooled at home is becoming more and more popular. These organizations arrange a wide variety of opportunities that enable socialization during organized activities in parks, field trips, and meet-up classes. Want to take socialization further into the wild blue yonder? There are summer camps available that facilitate interaction with other homeschoolers where they can learn about farms, outer space, and Mother Nature. Nothing like a quick game of basketball to perk up socialization in homeschooled kids. A lot of park affiliations have outstanding programs for numerous sports activities for the whole year. There are even recreational centers that have daytime classes specifically modified for homeschooled teams. Check with your local center for more details. These activities to enhance socialization are just the tip of the iceberg. There are a lot more parents can do to let their children engage in opportunities to make new friends and have meaningful friendships. Is Homeschooling A Radical Option for Bullied Children? When bullying gets in the way of your child’s education, is homeschooling the best option or an over exaggeration? Read moreIs Homeschooling A Radical Option for Bullied Children? Though homeschooling is not something new, many have seen the rise and evolution of what used to be a simple method of educating children in their home to a now fully functional curriculum that offers not just the basics but also other forms of extracurricular activities experienced in a standard learning environment. How does homeschooling work, what are the responsibilities it can entail, and if interested, how can you be a part of it? Homeschooling is a progressive learning system that allows kids to gain an education at home while under the guidance and supervision of their parents. In other words, instead of choosing to send children to a typical private or public school, parents would rather spend their time focusing on their children learning the primary subjects taught inside the comforts of their homes. 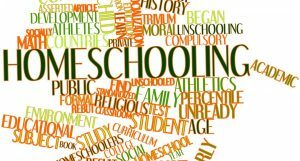 Depending on the state, the legal prerequisites for homeschooling within the United States varies from one place to another. While individual states may have a few to no requirements, others would demand standardized testing or portfolio analysis at specific intervals. 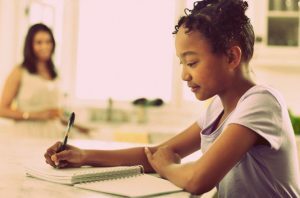 For those who have fully decided to result in homeschooling their children, the prerequisite is simple: have the desire to make it happen and be committed to the process. 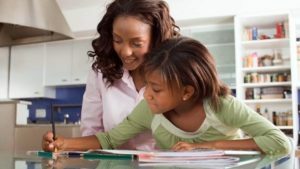 In most places around the United States, parents who want to take on the responsibility of being their child’s teacher do not need an education degree for as long as they adhere to the requirements of instructions within their area; that is if their child has never attended traditional schooling. On the other hand, homeschooling children who already have a background in conventional education require a much more organized approach by following specific guidelines mandated by their districts. 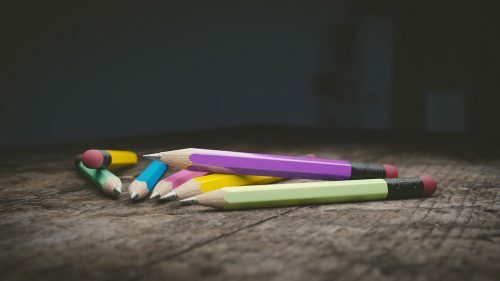 So now that you’ve settled to homeschool your children, the next step that you should do is decide on the curriculum and resources that you’ll use for homeschooling. Ask yourself the subjects that you will be teaching. Due to the fast increase in the statistics of children who are being homeschooled, this resulted in a vast array of accessible educational materials and curricula. Advertisements are brimming with an overabundance of preferences based on diverse education approaches, learning philosophies, and duration of time teachers or parents dedicate to regular instruction. 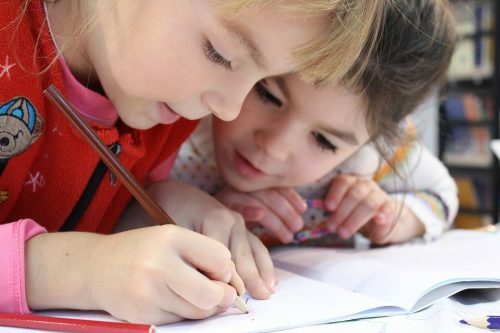 Homeschool subjects incorporated into daily instruction includes a patterned discipline that follows traditional school system with the inclusion of topics that focuses on the capitalization of children’s interests and passion. What made homeschooling stand out from the rest is the educational personalization, which standardized schools don’t usually have. Transformation is mainly focused on discovering and achieving certain aspects and qualities of children that may or may not be realized if they were sent to regular schools. By customizing the child’s environment and learning structure, parents and teachers can work hand-in-hand to deliver an individualized arrangement of instruction that is suitable for the children’s ability, learning style, and interests. In the recent years, there has been a constant rise in the popularity of home-based learning systems or what is also known as homeschooling. The National Center for Education Statistics supplied results of a survey showing an estimate of children aged 5 to 17 are homeschoolers.Though a lot of parents are considering the idea of letting their kids stay inside the house and start education there, many are hesitant for the assumption that it could interfere with their day jobs. 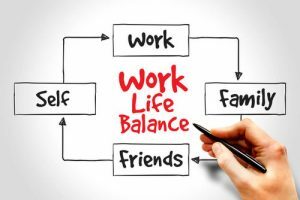 However, those who are able to balance work and homeschool are pretty convinced that even if the idea seems farfetched for some, it is ideally possible. Combining the two – homeschooling and working full-time – requires commitment. It might seem too overwhelming especially when you start to combine the two with other aspects like household chores, family time, and other miscellaneous tasks that parents might encounter throughout their day. Once you’ve finally decided that you will be homeschooling your children despite your fulltime work hours, the first thing that you have to do is to let go of the notion that your life will change drastically. Everything will have to be adjusted; therefore, scheduling is critical. 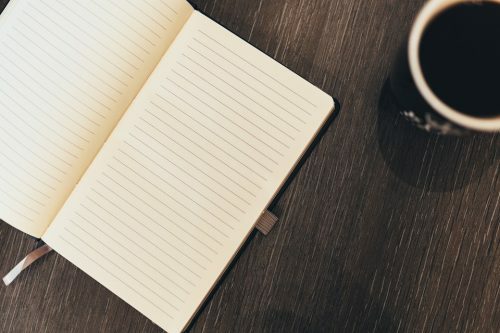 Since you don’t want your work to suffer, the time allotted to it is prioritized. All you need to do is make the best of what’s left of your day. Example, if you work from 8 am until 5 pm, you can start homeschool after dinner. This will provide you ample time to take a quick breather before learning begins. However, if you have a home-based job where hours are usually flexible, it is easier to juggle with whatever schedule you have in mind. It’s quite difficult to erase the feeling of regular fragmentation wherein you are doing something, but then your mind will wander off to another thing. Telling yourself to be at the moment can be quite challenging especially if your to-do list is anything but endless. You have to keep in mind that if you lose focus, you waste precious time, thus, losing track of your schedule. When work’s done, it’s done; no turning back wondering if there’s something that you failed to do. You can worry about that in the morning. Right now, you have to focus on your kid’s lesson plan. 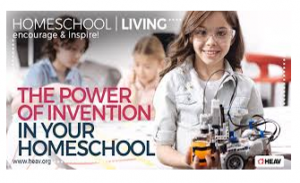 If you’re homeschooling, whatever’s connected with work should be ignored for that specific period. Saying “no” is easy and hard at the same time. Keep your responsibilities to a minimum. A fulltime job and homeschooling is already eating up a significant portion of your time – anything extra will make you explode. Whenever something comes up, like a gathering or extra work in the office, decline. You’ve already had your hands full, how else are you going to commit to additional workload? Be honest with yourself and recognize your limits. There’s nothing wrong with accepting the fact that you cannot do everything. Let’s be realistic – you are merely human. Eventually, you will run out of whatever it is that keeps you going. Therefore, you need to recharge. As a parent, the idea of having a “me time” is somewhat unrealistic and impractical, but it’s not. It is imperative for human beings to give themselves time to recuperate and just leave everything behind for just a couple of hours. Do not feel guilty if you drop the kids at daycare and just go out for some relaxing alone time. This will make you feel refreshed, and it’s something to look forward to at the end of a heavily scheduled week. Being a parent, a better-half, a worker, a teacher, and a human being is a lot to take. 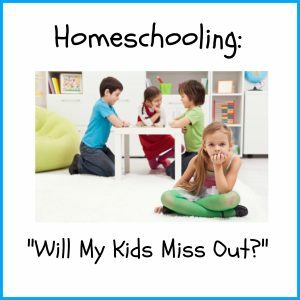 It’s not easy, but if you are convinced that homeschooling is something that will do a lot of good for your children, you’ll think of ways on how to juggle everything in a day. Homeschooling children occur for various reasons; while some may be because of learning impairment, others are due to mental or physical disability. 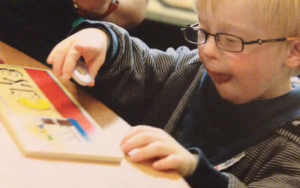 Therefore, children with special needs who require specific learning strategies, benefit hugely from homeschooling. Special needs children demand more attention since they may have delays in learning specific processes or have behavioral challenges that can significantly affect the way they think, interact, and respond to topics. Who are these children with special needs? Children who suffer from the abovementioned conditions are mainly qualified for home-based learning. Compared to a typical school environment, there are benefits that parents and kids with special needs can take from homeschooling. 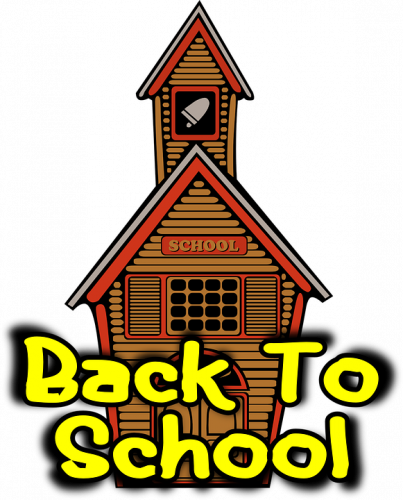 Depending on the pace of the child, parents can quickly adjust the schedule of their child’s academic calendar; which is particularly helpful on occasions that would require extra time for your child to learn a specific subject or if there unforeseeable in-between breaks. Sometimes, the calendar of activities can extend up to the entire year instead of the usual nine months for typical school days. Children with disabilities insist on getting a lot of attention and guidance from teachers and parents which technically means that learning becomes more productive if the mode of education is one-on-one. It can be quite a predicament to allow your child to mingle with kids their same age and not follow the instructions effectively. This is frustrating on your child’s part and will just increase his or her anxiety. Giving your child ample time and recognition to learn and comprehend every lesson will not only pave the way to further understanding your child’s abilities and intelligence but also knowing how to present every subject with minor complications and confusions in a very efficient manner. Sending special needs children to a standardized learning environment may not be conducive to their learning since there are a lot of distractions that they might find unappealing or attractive. Either way, this will not benefit your children’s education at all. Being homeschooled, you will be able to control the environment by limiting distractions without compromising comfort and ease. What might work for one child may not work with another; therefore it is vital to construct an alternative educational approach to make learning more amiable to your child. Learning at home opens an avenue for realizing what methods work for your kids. Some of these alternative approaches would include chalkboards, manipulative toys, hands-on education, and strategies that tap the multi-sensory level of the child. There are specific accommodations that special needs children require which are usually unavailable in a typical learning environment. For example, students who have dysgraphia or issue with handwriting can utilize keyboards for completion of assignments. Other children who get easily distracted or have attention deficit issues are allowed to use fidgets or stress balls to channel their energy, thereby aid in increasing their focus on their lessons. Most importantly, homeschooling can give parents that sense of safety and security that a regular schooling environment might not have. Some external learning environments can be quite uncompromising that may add more stress to your children rather than helping them cope and acquire knowledge. Are you somehow skeptical about homeschooling your child? Though concerns are buzzing around about the effectiveness of homeschooling, it might be something you can consider. Of all the benefits of homeschooling, safety is a primary factor. Schools these days are swarming with bullies and aggressive kids who sometimes carry prohibited weapons for some twisted logic. According to data presented by the National Center for Educational Statistics (NCES), in 2015 alone, there are about 21% of students between the ages of 12 to 18 who are victims of bullying, and females are more targeted than males. 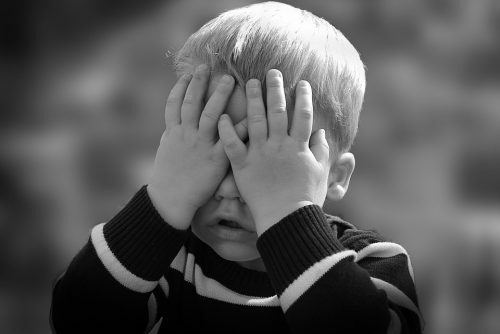 Threats to safety cause children to become very anxious about their schoolmates which can also directly affect their performance and interfere with the process of learning. To safeguard children from these types of threats at school, some parents resulted in applying for an online educational platform that has the same curriculum as that of regular classes. Sometimes, no matter how overprotective parents are, they are still in the dark whether their kids are exposed to drugs and alcohol. Kids, especially teenagers, are the primary victims of drug abuse; these are less likely to be found in homes. However, students have higher chances of getting in contact with these restricted substances within the vicinity of school grounds. If your children have mental and physical disabilities, chances are, they will have a hard time following through with regular class sessions; plus, they are subjected to mockery, humiliation, and bullying by other kids at school. Typical schools will always have a mix of good and evil; you cannot expect everyone to be as understanding and accepting when it comes to children with special needs. Homeschooling protects your kids from traumatic emotional attacks that they will be exposed to once enrolled. Guiding and supporting your children’s schooling needs at home strengthens the parent-child bond. Kids usually thrive and strive to gain their parents’ attention and approval; this builds their self-confidence and self-esteem. Aside from that, parents will learn more about the way their kids think and react to specific subjects taught at home or online. Parents can also participate in promoting positive behavior to their children that they usually cannot do if they send them to a regular school. Friends or even schoolmates have a massive impact on how children think and act. According to data presented by the Centers for Disease Control and Prevention (CDC), in 2015, there were more than 220,000 newborns that were from women who are between 15 to 19 years old. Though this data is said to be a record low, it does not assure parents that their children will not be victims of peer pressure. Homeschooling can prevent this kind of phenomenon from happening since parents are often around to look after their kids. Homeschooling your kids does not necessarily mean that you are curtailing their freedom. There are just certain situations that would require the need for children stay inside the house. Besides, there are a lot of studies that show many homeschooled children outperform those who went to regular schools during standardized exams.